If you’re one of the persons deeply in love or going to get married lately, nurture the joy of love by gifting him/her a scintillating diamond engagement ring. The significance of engagement ring is so deep that most individuals believe that an engagement ceremony is meaningless and is incomplete without an engagement ring as it is one thing that binds two people into a pleasing relationship. In order to make your engagement more meaningful and unforgettable, it’s good to gift a diamond engagement ring to your special someone. And if it is exceptional, you darling can flaunt it in style everywhere. Engagement ring is usually given by a man to a woman, signifying their commitment to each other. Diamonds, with their miraculous beauty, deliver the perfect gem to set into engagement rings. Be it a single solitaire or multi-stone design, there’s a never-ending range of engagement rings to pick from. Nothing can be better than a diamond solitaire ring to seal your engagement. There are other numerous engagement rings created from diamonds that captivates and takes couple to a new high. You can choose your own diamond and get it studded on platinum and gold rings. Your stunning diamond ring will define your journey of love. You will be enthralled by the gleaming collections available at most of the certified online jewellery outlets, be it a classic diamond solitaire, a dazzling 3-stone ring or a smidgen of diamonds to form a cluster. You can also design your own diamond engagement ring. Make it personal, sappy and fun. GN Jewellers have an incredible range of magnificent jewellery that you can insert your personal touch to and craft an amazing rarity objects. Simple steps by GN Jewellers gives you a chance to make your desired diamond engagement ring. To conclude with, it can be claimed that diamond rings add more beauty to engagement ceremony. For ideal diamond engagement rings, you can rely on GN Jewellers Melbourne. They specialize in crafting unique diamond engagement rings, diamond wedding rings or diamond anniversary rings.  You can pick from the catalogue provided by GN Jewellers or just create your own exceptional design to suit your style. Once the detailed picture of your engagement ring is approved, it will be manufactured and you are likely to have the most eye-catching diamond engagement ring that is likely to please your loved one. GN Jewellers is one of the popular jewellery stores in Melbourne.